– Bassculture Foundation ( Selektor Depender & Tillie Gya ) new 7” presentation! We think that the dance community and promoters should honer and acknowledge the roots of dance music. The electronic revolution combined the dub sound from reggae/dub producers Lee Perry,King Tubby,Mad Professor,Joe Gibbs, etc with disco and electronic(synth) music, that became dance music. 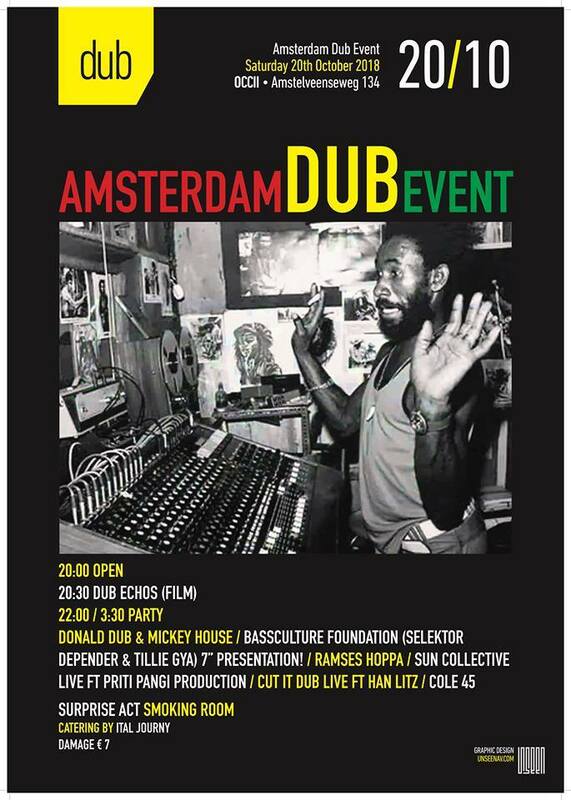 And also the present and future of dub is worth of being a part of ADE. The new generation dub producers are constantly pushing the boundaries of dub. We are not lecturing but educate the people and show the roots of dance.